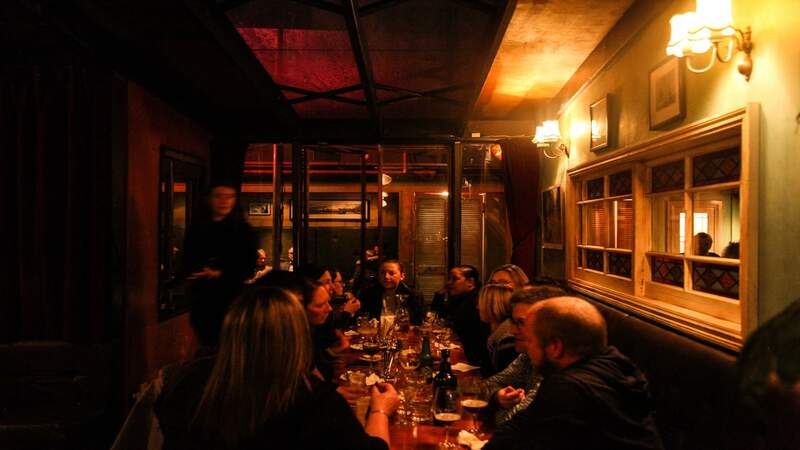 Wine and dine at one of Wellington's most energetic watering holes. An iconic feature amongst Wellington's restaurant scene, Havana Bar is renowned for its fun and vivacious atmosphere. Split into a bar and restaurant, whatever occasion you have planned, Havana can certainly accommodate. Relaxing into your seat, you'll feel right at home amongst cheerful and chatty patrons. The menu is an eclectic and energetic coalescence of international fare, from Japanese accompaniments to Turkish breads. The tapas are gorgeous and exceptionally fun when sharing with a group of friends. Think sautéed prawns with Kashmiri chilli and garlic, meaty pan roasted and pickled mushrooms with miso, garlic and sesame, or for the adventurous, fried ox tongue. The seasonal dishes are classic yet served with a twist, and are a testament to Havana's ability to pair creative flair with standard proteins of lamb, pork, fish and beef, and create something otherworldly. Expect your selections to be cooked and presented exceptionally. We had the lamb rump with pickled burnt red cabbage, braised leek and a lamb fat and hibiscus sauce, as well as the roast pork belly with miso glaze. Do not be deceived by the portion size, the meat dishes are decadent and moreish. I recommend getting a vegetable side, something that will help cut through the rich, savoury flavours. We got bok choy with tamarind and dry lemon — a zingy accompaniment that complemented the meats sensationally. However, if you really want to go the full nine yards, go for their butter-poached cauliflower with prune, manchego cheese and shitake salt. Basically an extra loaded cauliflower cheese, this is one of those dishes that you'll find yourself drooling over for weeks to come. Of course, feel free to order wine pairings for your meals, but why would you settle for that when you're in one of the best cocktail establishments in the city? This is why Havana is one of my go-tos. Easily some of the best cocktails in the city, the talented bar staff will know exactly what you feel like: just tell them what spirit and what taste you're going for, they've got your back. My favourite is the In Bloom — rose petal-infused gin, Aperol, lemon, bitters and soda — it's an absolute delight. Even swap out your dessert for the very naughty Cigar and a Waffle — Cuban cigar-infused rum, averna, chocolate waffle cream, maple and brown sugar. Yep, you're in for a smoking good time.